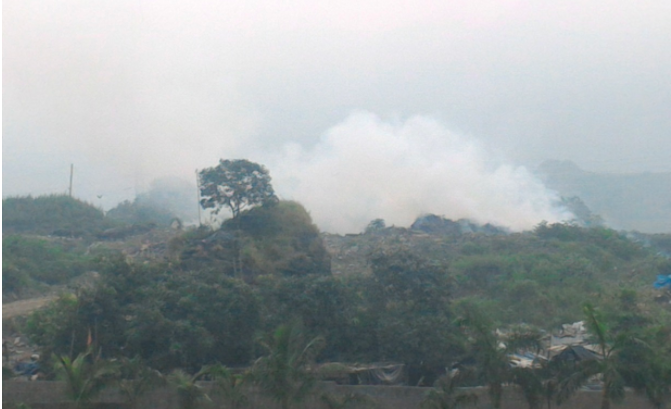 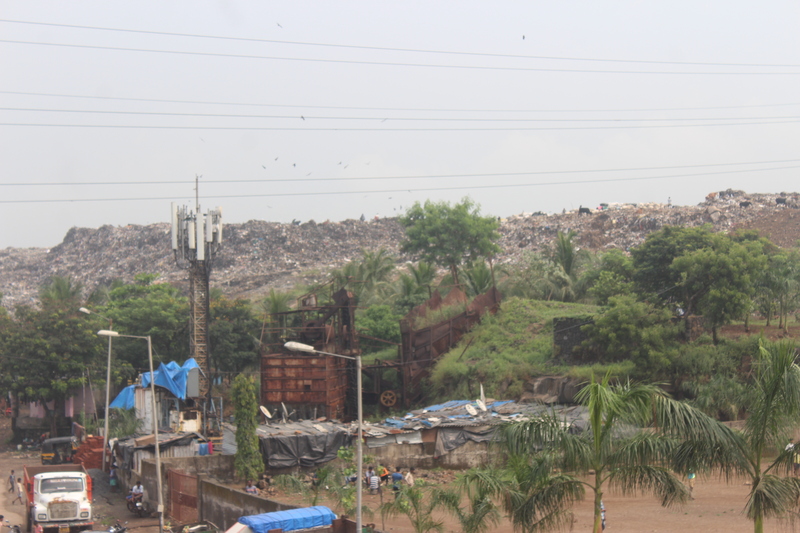 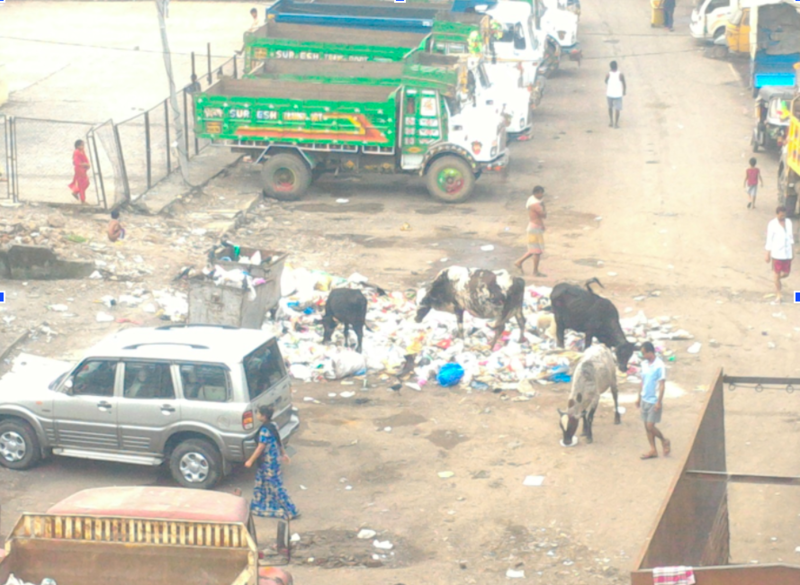 It takes courage to go against the flow, in this case, against the accumulation of tons of waste in and around Turbhe, Navi Mumbai, which is steadily becoming like Deonar of Mumbai. 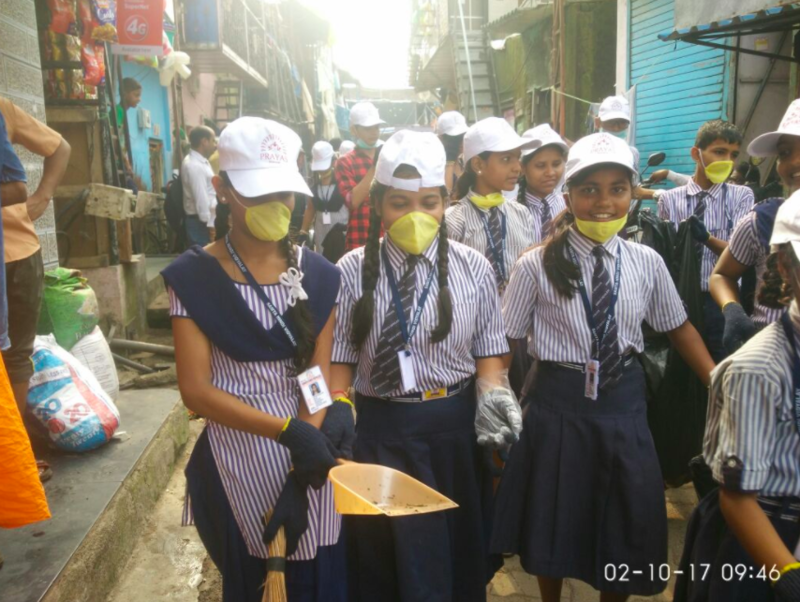 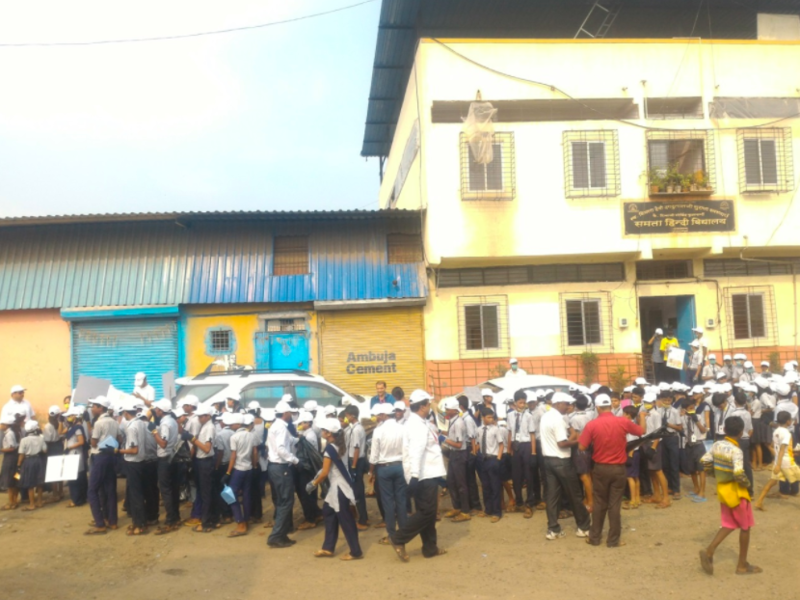 Students of Samta Hindi Vidyalaya, Turbhe initiated a cleanliness drive on October 2nd to make a point that instead of blaming the authorities and municipal corporations, one should first look inwards and set an example to the common citizens of the nearby local community who are the biggest contributors of the growing garbage mountains. 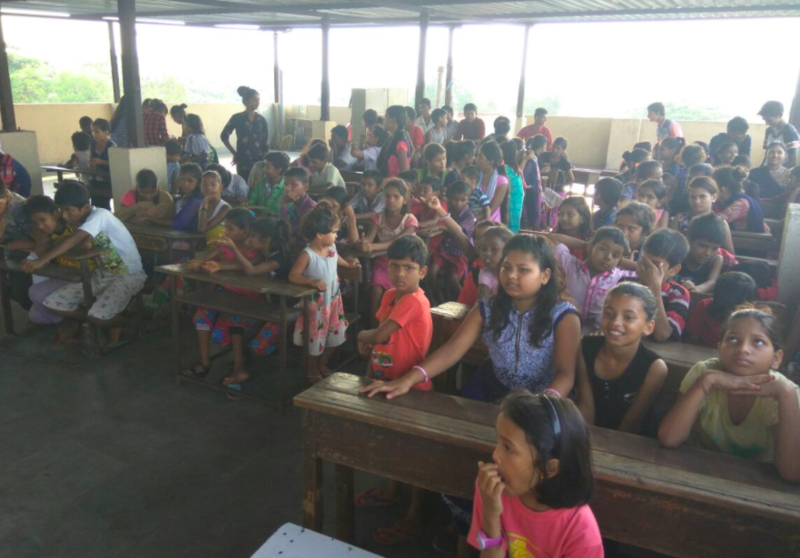 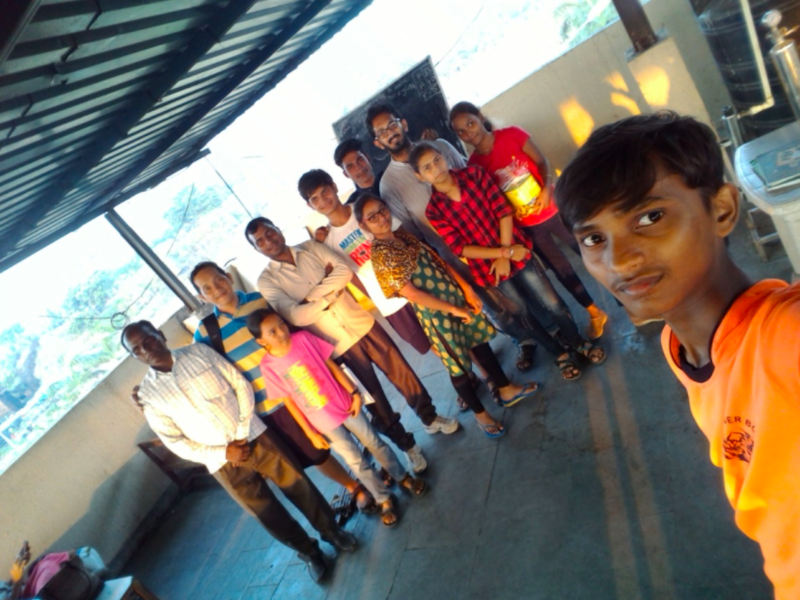 Around 200 students were trained by a newly formed Navi Mumbai group called Educators for Equality, under the sub project- Asan Vigyan, on how to handle waste in a scientific manner and on how to safely segregate them, separating plastic out of compostable organic waste so that both the streams can be recycled. 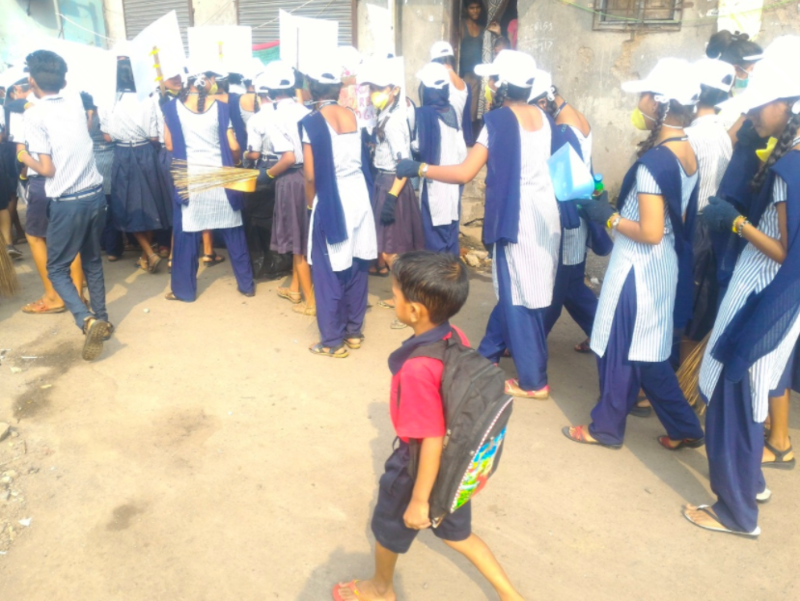 The army of students, mainly of 9th and 10th standard, equipped with banners and broomsticks, trash cans and trolleys, started from their school at 9 AM and went from street to street cleaning and segregating whatever waste that came in their way. 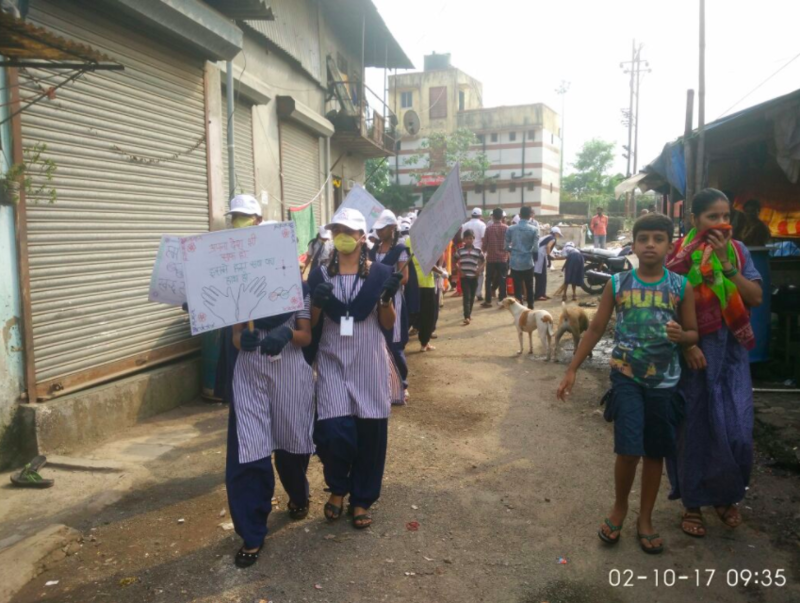 Energetic slogans were raised and reverberated to promote segregation, cleanliness and spread awareness about health and hygiene as well. 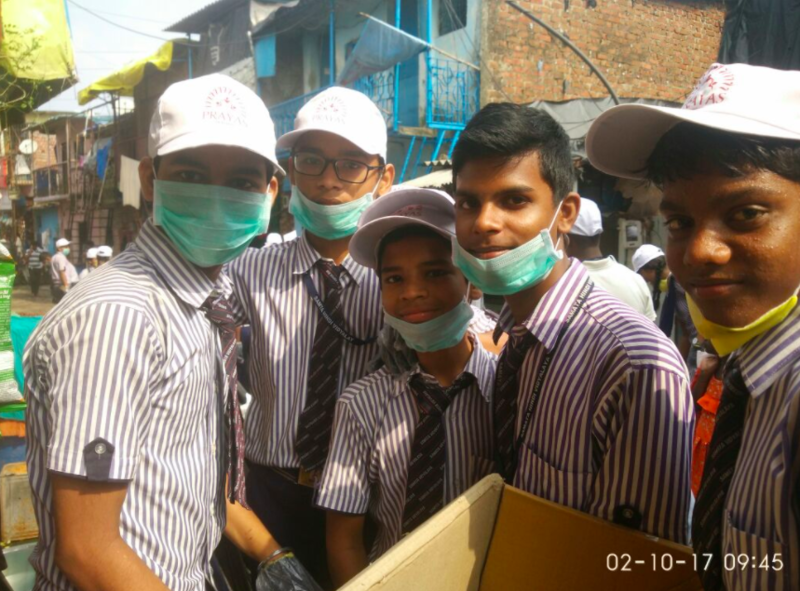 Hand gloves, nose covers, caps etc for the cleanliness drive were provided by Prayaas, an NGO working on a sustainable environment. 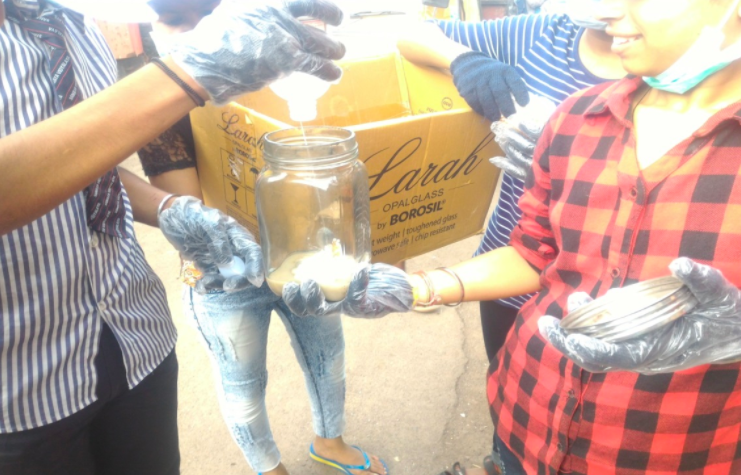 About 30 plastic bottles were stuffed up with non-biodegradable waste like polythene and food wrappers, weighing about 5 Kg. 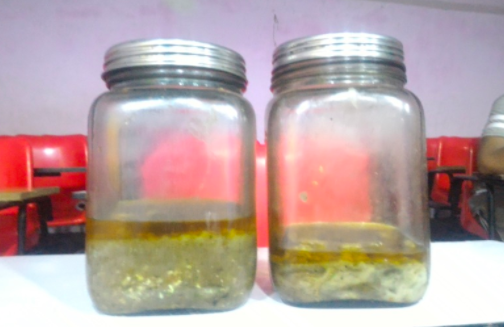 The overall volume reduction achieved was more than 10 times. 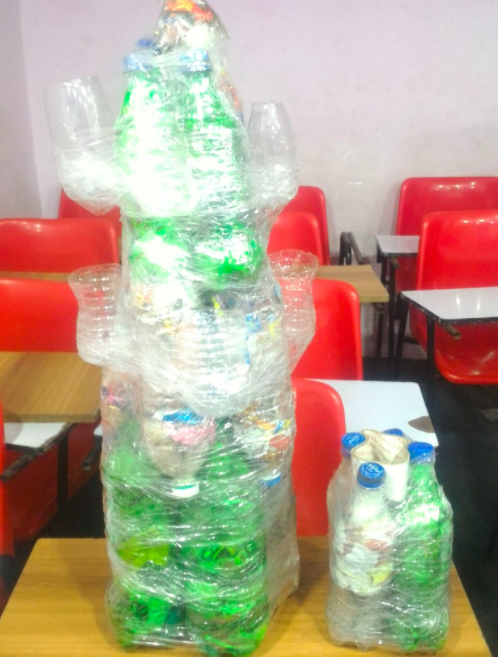 Thermocol waste was dissolved in acetone to dramatically reduce its volume by 50 times and to reuse the moldable plastic to make small decorative pieces. 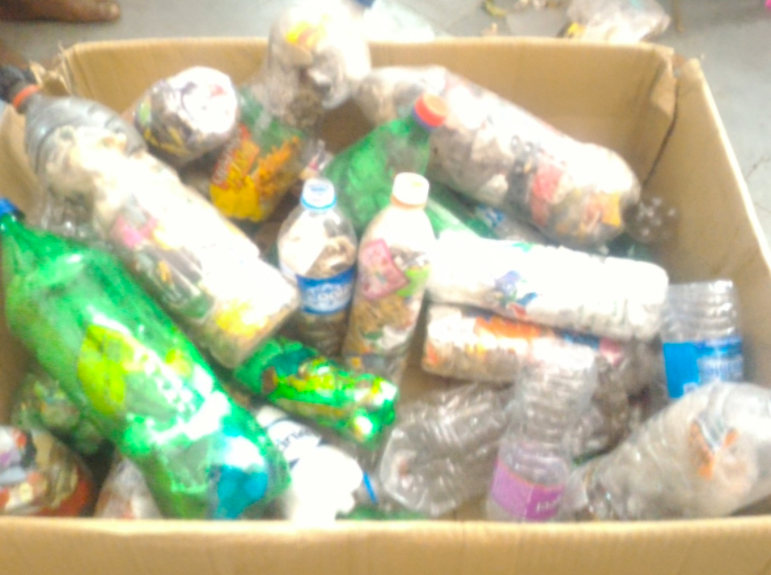 Plastic bottles filled with covers were assembled and tightly packed with cellotape to make a rocket launcher shaped flowering stand. 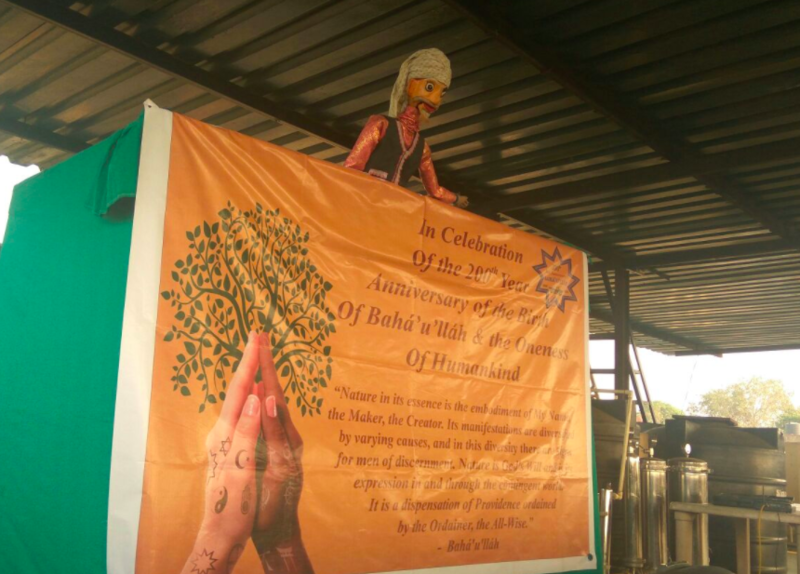 It can further be painted to make it even more beautiful. 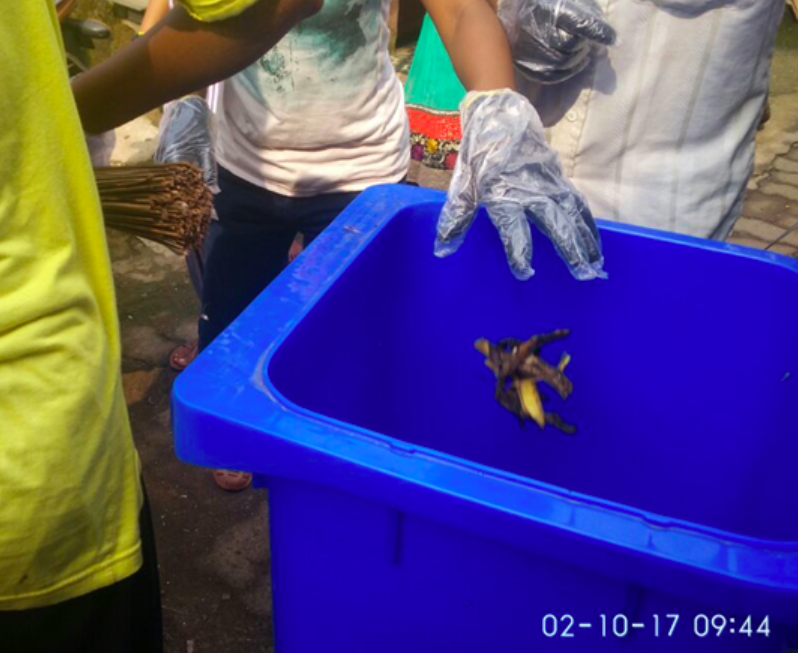 Now to handle organic waste Stree Mukti Sanghatana were contacted to procure compost bins along with special microbes which aids in fast and odorless composting. 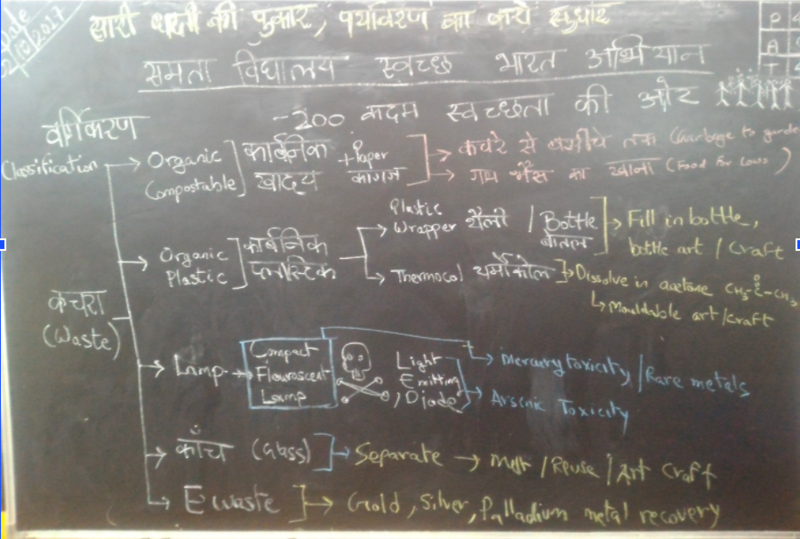 The designer and proponent of home composting of Stree Mukti Sanghatna is none other than Padmashri Dr. S. P. Kale, a renowned environmentalist, retired senior scientist from Nuclear Agriculture and Bio Technology Division, Bhabha Atomic Research Centre. 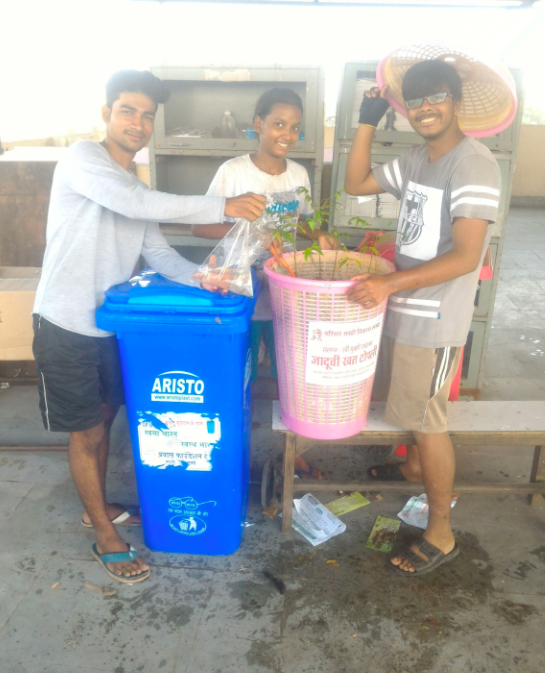 One large 75 liter basket, fondly known as ‘Jaduchi Khat Tokli’ or magical compost bin, was enough for transferring all the organic waste collected, along with about 3 kg of microbe culture, gently mixed and stirred. 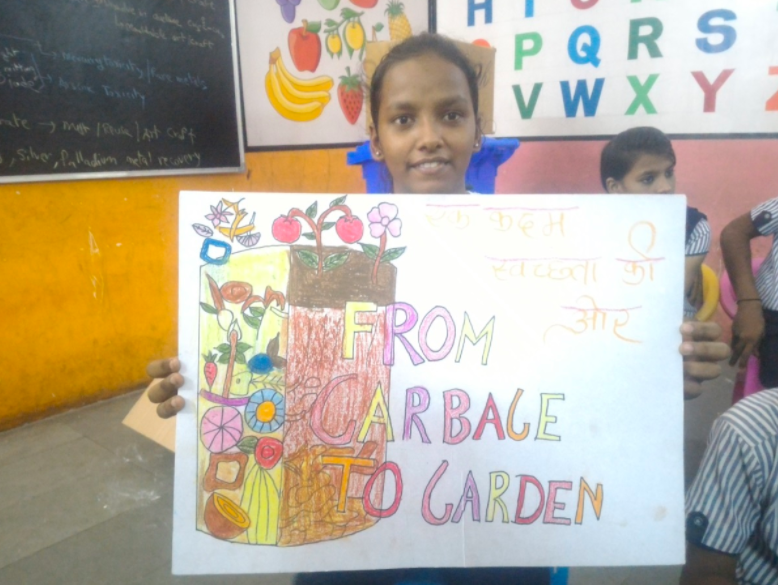 To add icing to the cake, neem saplings were planted on top to consume the newly forming manure and grow, thereby making a garden out of all the organic garbage. 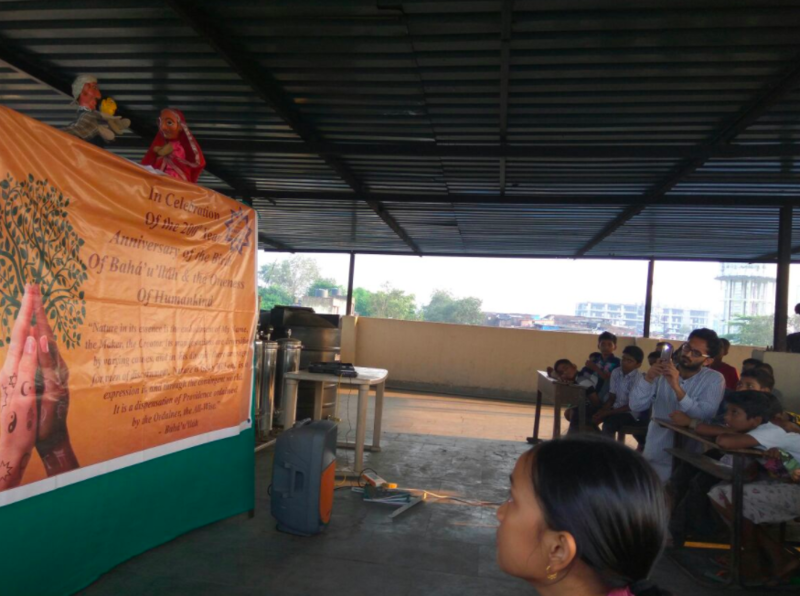 And thus began Swatch Turbhe Andolan, not a one day event, but a perennial movement for better environment, which aspires to collaborate with all like-minded scientific, pro-social and environmental groups across the nation to level up Swatch Bharat Abhiyan to Swatch Bharat Andolan!